25th November is the International Day for the Elimination of Violence Against Women – this is also known as White Ribbon Day. Here at White Ribbon Writing you can share your story, offer support and join our community! Share your support and your story with other members of the community or be encouraged to put your story in words by submitting your story to be included in a book. This e-book will be published in 2018 and all funds that are donated go towards helping to eliminate violence against women. In 2014 between June 1st and October 15th, writers from across Australia were invited to submit their stories to WHITE RIBBON WRITING COLLABORATIVE to help raise awareness and important funds for White Ribbon. Everyone participated in the “My Oath’ campaign for White Ribbon, by ‘swearing’ to stop the violence against women when they submitted their stories. This year – 2018 we encourage you share your story in words by submitting your story from the 1st June to 15th October 2018. Stories will be published in a book at the end of this period. To ensure we can continue supporting White Ribbon we would appreciate if you could please make a small donation by clicking on our DONATE NOW buttons around the site. 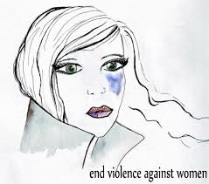 WHITE RIBBON WRITING COMMUNITY FORUM is proud to be supporting White Ribbon in raising awareness about violence against women in our community and encourages others to do the same. White Ribbon Writing Community Forum where you can share your story, be supported, offer advice or sit back and have a chat over a coffee or tea.